If you were asked to write a message on a postcard, or to draw a picture on it, then send it to someone who loves to read, what would it say? Would you post it on a website for all the world to see? That’s what you’ll find here. 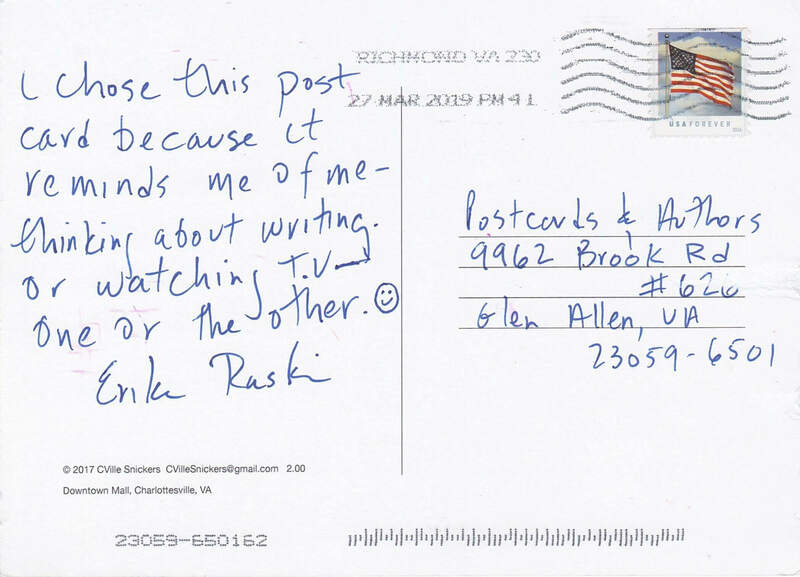 Published authors and other bookish types have chosen postcards, written their thoughts, and presented you with a pinch more insight into their lives.